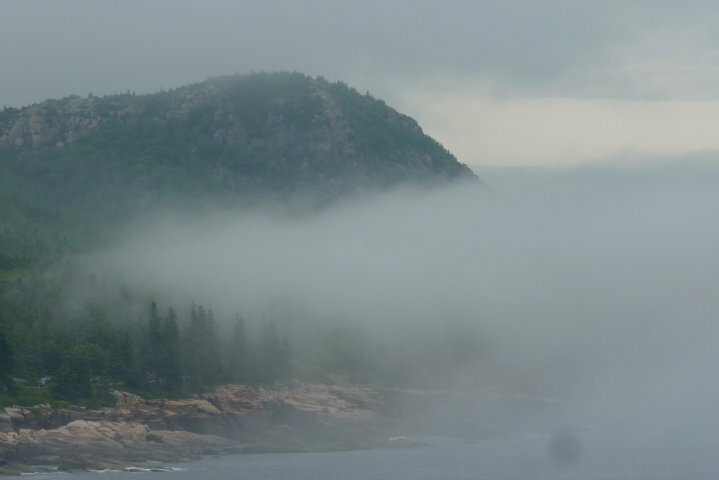 Acadia National Park and Mount Desert Island are the Northeast’s gems. 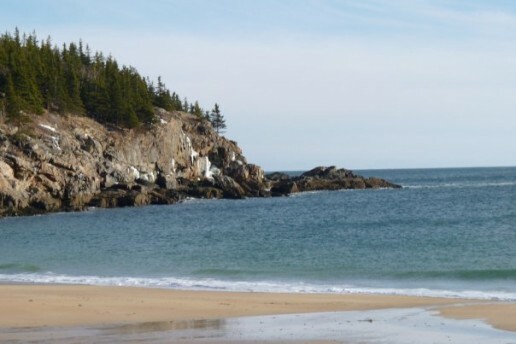 Rugged Maine coastline combined with bald granite mountains and an oftentimes rustic New England feel coalesce to provide one of the best experiences you will have this summer. However, be aware that it can be packed with tourists, traffic jams, parking issues, and lobster-everything. Speaking of which, my first piece of advice to you is this: Don’t eat the lobster ice cream. I don’t care how novel you think it is, or how adventurous you feel, but lobster and vanilla do not mix. This “delicacy” is an abomination. Both lobsters and ice cream deserve better. Throngs of summer residents, tourists, and cruise ship passengers come to Bar Harbor, choking the village and driving up vacation rental costs. If you want to sleep outside, I recommend Quietside campground. Blackwoods and Seawall are both good, too, but are more popular. Additionally, areas across the fjord tend to offer a slightly more rustic Maine atmosphere. 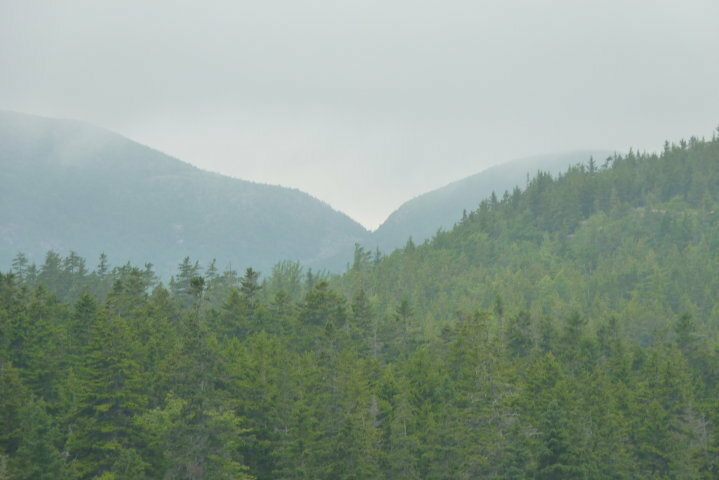 Depending on what your activity of choice is, Acadia can offer you a number of great opportunities. You can bike the carriage roads, take climbing lessons, go on a whale watch, or see marine creatures at Diver Ed’s Dive-in Theater. However, for the outdoors enthusiast, there are some must-do hikes. The big one is Cadillac Mountain; supposedly, the combination of location and elevation makes it the first point on the U.S. East Coast to see the sunrise each day. People flock to the top every morning, and it’s worth joining them at least once. By road, you can drive or bike to the top, and many hikes also lead to the summit – just remember a headlamp. Beech Mountain is often overlooked, but this short hike up to a fire tower provides you with a great view of the sea. Beehive is a bit strenuous, and people with a fear of heights will have trouble with some of the small but still fairly safe ledges. Once you reach the summit, you’ll get a truly gorgeous view of Great Head, Sand Beach, and Otter Cliffs. 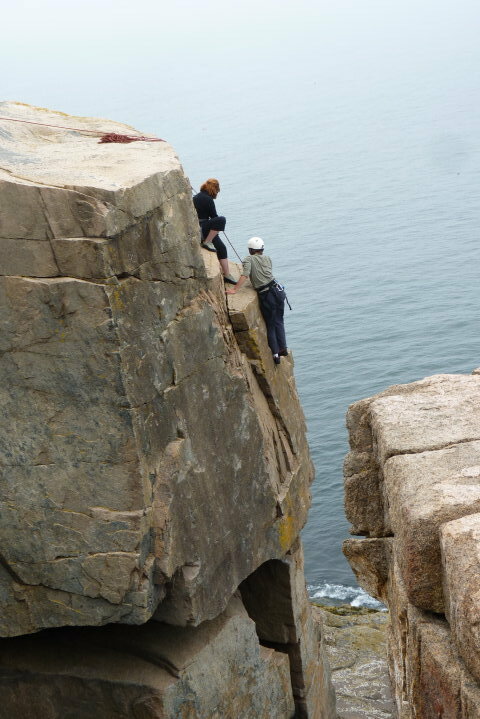 Speaking of Great Head and Otter Cliffs, while not mountains, they’re excellent for bouldering and rock climbing, and present a great opportunity to examine tide pools, where you can find starfish, eels, and a variety of other sea life. The last must-see for many folks is Jordan Pond and the Bubbles, twin peaks reflected in a clear pond. After, stop by the Jordan Pond House for chowder and popovers. There are so many more areas I would like to list here, but it would be far too long. It is worth noting, however, that Schoodic Peninsula is part of Acadia but is not on Mount Desert Island. If you make the trip, you will be rewarded with a hidden gem that is generally free of crowds. While there’s a lot of great food on MDI, I’m mostly familiar with Bar Harbor. There, Two Cats and Cafe This Way are must-visit breakfast and brunch establishments. The food is good quality, the atmosphere is just right, and they accommodate vegetarian, vegan, and gluten-free diets. Also, Maine is known for its blueberries, so blueberry anything is delicious and fresh. Morning Glory is a great little bakery where you can get foods sourced from local farms. Here, too, they offer vegetarian, vegan, and gluten-free options; also, for lunch, stop by to grab a sandwich. Just across the street is Siam Orchid, a Thai restaurant owned by a truly great guy. His seafood is sourced locally, and everything is overall fantastic. For dinner, come by Galyn’s; if I’m getting lobster, that’s usually where I’ll go. That being said, I don’t think there’s any such thing as bad lobster on MDI. Once there, stick around for dessert. Along with all listed above, other call-outs are Geddy’s and McKay’s. If you have a sweet tooth and you’ve already been to Morning Glory, try MDI Ice Cream, offering two locations in Bar Harbor with a unique assortment of flavors. Out of the choices, I recommend a waffle cone with Nutella ice cream and chocolate sprinkles. If you want an adult beverage to top off dinner, then the Lompoc is where all the locals hang out. While the food is a bit overpriced and the music loud, they have one of the best beer selections in town. For a beer and a meal, the Thirsty Whale is where you can grab a pint and a burger. You’ll find better-priced fare there, but keep in mind it can be hard to get a table during peak seasons. What else should you know? For one, the whole town is very dog-friendly. Also, for getting around during the summer, a free bus run sponsored by L.L. Bean can take you to a variety of locations around the island. Catch it on the village green to reduce the headache of trying to find parking; just pay attention to the schedules. Along with these points, I can’t write this piece without mentioning my alma mater, College of the Atlantic. The campus is open to the public, and the giant whale skull alone is worth stopping for. You’ll further find a wonderful natural history museum on campus, where there’s usually some interesting installation art. As you walk around, you’ll discover that many of the buildings are comprised of old Rockefeller summer homes, and that they basically have a castle on campus. Eat your heart out, Hogwarts! I recently returned from a trip to Italy with my family. This initially came about when my dad presented two awesome vacation ideas, as if he were planning a last hurrah for our diverging, postgrad family. The first was going to Italy to visit my brother, who was studying abroad there for his master’s program. We theoretically would meet up with him in Milan and make our way around the country for two weeks, traveling from city to city to see the sights. His second idea – and easily my first choice – was to visit a handful of National Parks out West to honor the National Park Service’s 100th anniversary. The potential itinerary included both Glacier and Yellowstone. Nonetheless, I was outvoted, so we were headed to Italy. At first, I was very disappointed and wasn’t feeling excited – which, in hindsight, sounds crazy. For me, this initially felt as if I were missing out on the opportunity of a lifetime. Giving my input, I had one condition: We had to plan some hiking, as I am a crazy outdoors person and feel cooped-up if I don’t explore every once in awhile. I didn’t care what days or where – I just wanted to get outside, and I knew I would need a break from museums and tours. Funny enough, without a car, we ended up hiking every day! 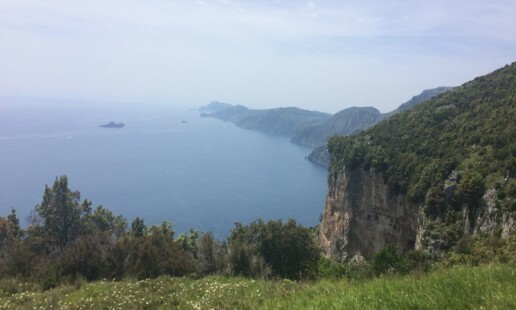 My favorite, though, was called “The Path of the Gods.” We hiked this on one of our last days, and it turned out to be one of the best experiences I had while in Italy – besides the food! 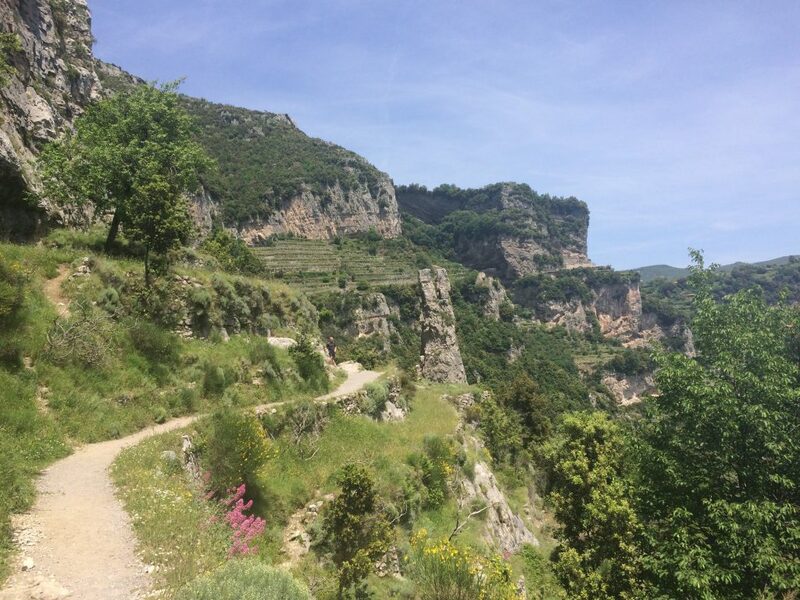 The Path of the Gods is located on the Amalfi Coast, south of Naples between coastal towns Positano and Bomerano. This trail makes for stunning views of the coastline, cliffs, gorges, and precipices. Before the trip, I had read about it in passing and convinced my family it was worth doing. In the morning, we started in Bomerano, with cappuccinos at a tiny café. Then ready to embark, we set out and followed the road, unsure of what to expect. When we got to the beginning of the trail, the sight showed me this would be a hike to remember: Sheer cliffs hanging over the ocean below and views of the farms nestled in the hillside. The hike began with gentle climbs up and down mountain peaks, where lizards constantly jumped out of our way as we walked along this ancient path. It continued this way for a few hours, regularly offering new views. Towards the end, the path started to descend into a tiny town called Nocelle, where you could grab a bus down to Positano or take the steps. 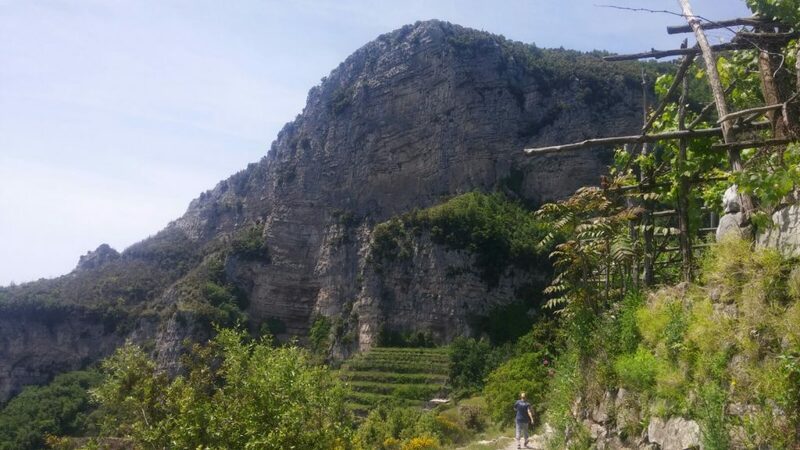 Based on my experience, I recommend walking from Bomerano to Positano and not the reverse direction – unless you’re looking for an intense workout! As both a “touristy” traveler and a solo, middle-of-nowhere backpacker, I have found that these interests, unsurprisingly, are from two different worlds but overlap in a handful of ways. For example, when I go to more popular destinations, like my three-city European tour with a group of college students last winter, I found that many of my fellow travelers felt the need to pack five pairs of dress shoes, 10 evening outfits, 50 scarves, and piles of toiletries (and no, I am not just talking about the ladies). Meanwhile, I became known as the “backpack girl.” That’s right: just my Osprey on my back and my carry-on pack strapped to my front for several weeks of travel. And, while my companions were fighting over space in the elevator to stack their luggage, I was sprinting up the steps of the hostel and getting the first pick of the bunks. You don’t have to ditch every amenity in order to travel practically for your European holiday or Cancun resort trip. However, taking a few tips from those that do this as a hobby can dramatically help in shedding some extra luggage weight. Yes, that’s right. Even if you have never hiked in your life, a pack is a great option – and might even inspire you to take up backpacking! Depending on the length of your trip, you will be looking at a 40- to 65-liter model. 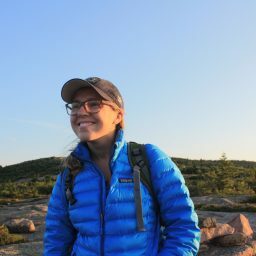 I am personally a fan of Osprey for their durability, functionality, and comfort, as well as their women-specific line. I also find it helpful to get a smaller daypack, for both a carry-on and a day-to-day pack. Look into getting an 18- to 25-liter daypack; Marmot, Osprey, and EMS models are a great place to start. Having an extra little tote that stuffs into its own pocket is also convenient for shopping, as well as for storing dirty clothes or shoes in your larger pack. Note: If a backpack is definitely not for you, Osprey also has great rolling luggage options, available through EMS. No ifs, ands, or buts: If I have to hear one more individual complain about how their feet hurt, but they keep on wearing those support-free but fashionable shoes while walking hours through the Champs-Élysées, I will personally drive them to get a pair of Keens or Superfeet. Unlike these other styles, a good pair of walking/hiking shoes will keep you supported and ache free. And, before you say how your ballet flats or Keds are just “so much lighter and easier to travel with,” just remember: being lightweight means that you can feel every little nook and cranny in the road. So, instead of bringing 10 pairs of shoes to switch out every day because of blisters and hotspots, just get one pair of trusty hikers. Believe me, they are even worth the time it takes to unlace them at airport security. Besides carrying the weight of all your cotton undies, re-packing dirty underwear is just, well, gross. This is why I switched to Ex Officio underwear. Just pack two to three pairs of this quick-drying and wicking miracle fabric; then, every night, wash your used undies in the sink with some shampoo and hang them up to dry. In the morning, you’ll have clean and dry underwear. I also use this tactic with my socks: Get two pairs of sock liners and two to three pairs of merino wool hiking socks, known for their ability to both wick away moisture and stay stink free. Again, just rinse out the liners every night, and hang them up to dry. The liners will keep the wool socks fresher for longer, and you don’t have to carry the weight of 20 pairs of socks for your three-week vacation! I won’t bemoan you for bringing one pair of your favorite skinny jeans for a night out on the town. But for day-to-day travel and tourism? Jeans are too heavy, and the cotton is only comfy for about the first 10 minutes of touring the Colosseum. Therefore, consider getting some pants or shorts that are made of a quick-dry and a little bit stretchy material. My favorite pair for travel is the EMS Compass Pants, available in sizes for both men and women. These are stain and wrinkle resistant, and the fabric is a four-way stretch material that moves with you. If you are going somewhere chilly, just add a merino wool base layer underneath. And, there it is! Just a few tips that might make you rethink the supposed “essentials” for your packing list. If you are looking to lighten your load, you don’t have to ditch your favorite items. However, investing in a few new products may make your trip less about lugging your luggage and more about the adventure.